Child labour is unfortunately endemic in many industries. Two of these industries are, for example, the apparel and cocoa industries. What is striking is that in the apparel business, child labour is a hot and quite widely publicised topic. Consumers are increasingly aware of these issues, and risks to brand reputation are high. But in the cocoa industry, consumers are much less aware of the existence of child labour. The reason might be that apparel supply chains are much more traceable and visible than current cocoa supply chains. There are a number of NGOs, such as the Better Cotton Initiative, that have traceability in place on different levels of the apparel supply chain, and government involvement is perhaps higher, making it easier to discover when child labour is used. The same applies to the carpet industry, where leading organisations, such as GoodWeave, are working to end child labour. Another reason could be that further downstream, child labour in the apparel industry can be more easily linked to specific brands, such as when sewing labels onto clothing, as was recently uncovered by a number of journalists in Turkey. Looking at the cocoa industry, the supply chain landscape is completely different. The start of the supply chain is dominated by smallholder farmers, with little or no control over working conditions. Plantations are not easily accessible and consumers are much less aware of the link between cocoa and child labour. That is why Tony’s Chocolonely, a social enterprise from the Netherlands, aims to inform consumers about the existence of child labour, whilst also offering chocolate products that are made without child slavery. When customers have more knowledge, they can make more informed decisions. For example, a very interesting experiment was conducted using white t-shirts. A vending machine was placed in Berlin, allowing people to buy a white T-shirt for 2 Euros. However, before completing the purchase, a movie was shown that explained that the t-shirt was made by children who were paid only a few cents per hour whilst working 16 hours a day, seven days a week. Once people had viewed the video they could make a more informed decision, with many opting to not buy the t-shirt and to instead donate the 2 Euros to charity. The video can be viewed here. Chain of Custody Model: Mass Balance. 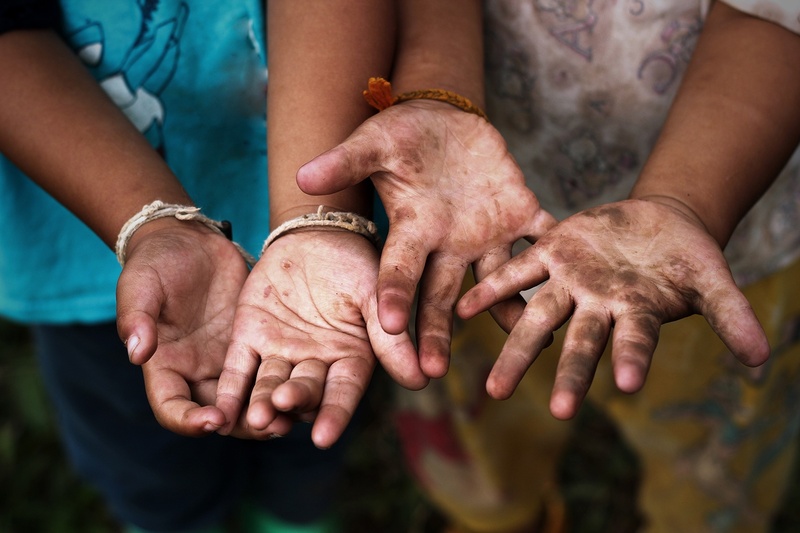 In order to help brands become more aware of possible child slavery in their supply chains, traceability and supply chain mapping are key. Both can be used to provide brands with more visibility into their supply chain’s social responsibility performance. NGOs can also work more closely with brands and provide them with greater assurance by providing documented evidence of inspections which can be linked to traceability data. Providing technology to integrate the multiple stakeholders that can collaborate across supply chains is ChainPoint’s core business. Our software supports a range of Chain of Custody models for traceability, including Identity Preserved, Segregation, Mass-Balance and Book & Claim, and can be used in supply chains of any commodity. Would you like to know more about the benefits of collaboration and traceability in supply chains? Please don’t hesitate to contact us.